The day Archie lost his thirty-one year job as a laborer at a meat packing company, he was forced to confront the secret he had held so closely for most of his life: at the age of fifty-four, he couldn’t read. For all his adult life, he’d been able to skirt around the issue. But now, forced to find a new job to support his family, he could no longer hide from the truth. This is a touching and poignant story that gives us an eye-opening view of the lack of literacy in our society, and how important it is for all of us to have opportunity to become all that we can be—to have hope and go after our dreams. It will also help parents, educators, and medical practitioners to better understand their roles in supporting and providing opportunity for the reading challenged. 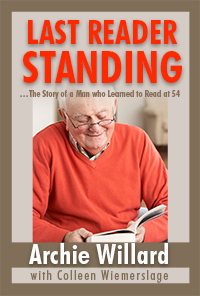 Unable to read until he was 54 years of age, Archie Willard’s life changed when he learned to read. Not content with simply knowing how to read, Archie took his message of the importance of literacy “to ends of the world.” From sharing the stage with former First Lady Barbara Bush, to writing about literacy for magazines, journals and newsletters, from co-creating videos and documentaries and other media—Mr. Willard was relentless in bringing literacy awareness and its importance to improving both life and lifestyle to all. At the age of eighty-two, Archie continues to work with literacy issues in medicine and consumerism nation-wide. “Let me tell you about my hero, Archie Willard. As an occupational therapist, I come from the clinician side. Archie of course, comes from the patient side. Our work has overlapped and intersected in many ways. I have interviewed Archie several times for publications and videos as well as having collaborated on projects. Archie and I continue to be passionate advocates for health literacy.” —Helen Osborne, M.Ed, President of Health Literacy Consulting, Founder of Health Literacy Month, Producer and Host of Health Literacy Out Loud. “I met Archie in 1992 when we traveled to Russia and Estonia with a delegation of thirty other zealots—all of us interested in dyslexia and learning how a different culture views learning disabilities. Archie and I connected immediately. I was attracted to him for his honesty, compassion, intelligence and sense of humor. Archie has inspired me more than I can say. He is one of the most selfless people I’ve met and his story has given others who struggle with learning and reading difficulties hope.” —Margie Gillis, Ed.D. President, Literacy How, Inc., Research Affiliate Haskins Laboratories. “It has been our pleasure to work closely with Archie for over seven years to address health literacy with Iowa Health System’s Health Literacy Collaborative, and also throughout Iowa and the nation. He still works to improve his reading and is passionate about helping others and continues to work to create a safer, friendlier health delivery system for all especially those who struggle with literacy.” —Mary Ann Abrams, MD, MPH, Health Literacy Medical Advisor. 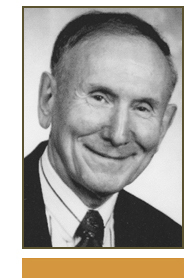 “Archie Willard has a story to tell that every educator and doctor should read. Archie’s true life account of not being able to read in school and early professional life will hit you in the heart. I was captivated by his struggles and the savvy and hard work he used in overcoming them. Archie’s voice is authentic and tender; I am touched by his vulnerability and awed by his courage and activism. Archie sharing his story has a profound impact on people; he invites us to be aware that we all have secret shames and are more alike than we sometimes think.” —Terry C. Davis, PhD, Professor, Departments of Medicine and Pediatrics, Louisiana State University Health Sciences Center. “In the early 1990’s, Archie and I were both following a new adult literacy on-line discussion group. He was posting his thoughts on the list used by adult literacy professionals. Now that took some nerve! There were misspellings and wrong words but Archie didn’t let that stop him from challenging us to look more deeply into the perspective of the adult learners we served. In both the adult literacy and the health literacy fields, Archie has been an influential presence as he observes our discussions, watches our policies, and contributes a valuable perspective of New Reader and patient. I am so honored to call him my friend and teacher. Archie is a huge inspiration to me, and I’m sure to thousands of other fans.” —Audrey Riffenburgh, MA, Senior Health Literacy Specialist, University of New Mexico Hospitals.